The Biomedical Imaging and Artificial Intelligence (BMIAI) ICICS research cluster held a two-day Hackathon on 3-4 November to connect with the student population and catalyze interest in the rapidly growing field of data-driven biomedical imaging. Attendance at the event surpassed expectations with over 60 students participating to win $1,000 in prizes. Students of all abilities were welcomed in an inclusive and open event that posed multiple data science challenges with varying degrees of complexity. While more advanced users constructed machine learning strategies to classify cellular images based on protein organization and structure, beginner and intermediate users manipulated large data sets and designed graphic user interfaces using quirky styles to bring data to life. The top prize-winning team, Monty Python, came 297th worldwide on The Human Protein Atlas challenge, hosted on Kaggle, after working for less than 36 hours. This impressive feat demonstrates the talent and potential impact of engaging curious minds towards solving today’s biggest problems. The Human Protein Atlas is an ongoing international effort to revolutionize our understanding of the human body and enable us to trace the journey of cells, showing how small changes at the cellular level can lead to disease. Unraveling these and similar mysteries will allow us to diagnose and treat patients more effectively in the future. 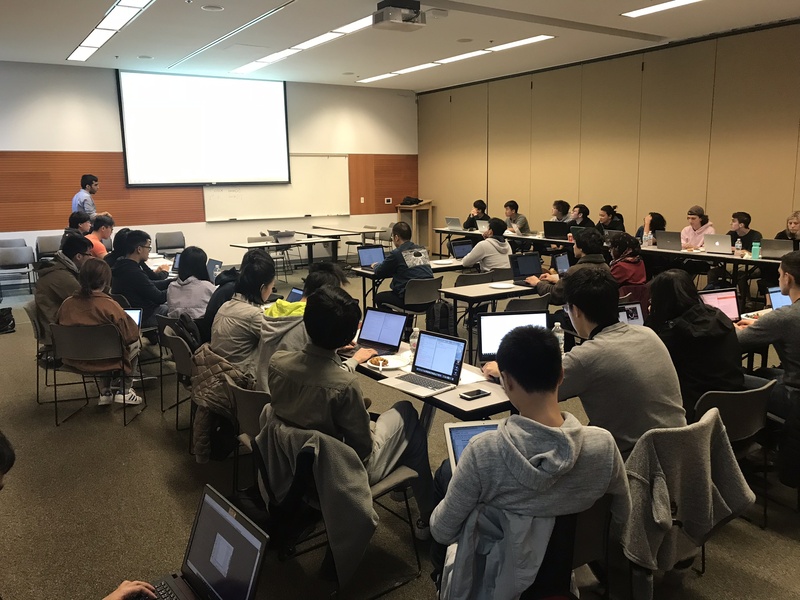 With initiatives across UBC to apply artificial intelligence to medically related fields, the BMIAI cluster is proud to be part of the effort in teaching creative computing skills to the next generation of big thinkers.